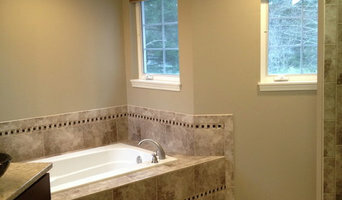 European Stone Tile & Design, Inc.
European Stone & Tile Design was started in the winter of 2004. It began in a home office and backyard that quickly turned into a custom craftsman stone shop now situated in Totem Lake, Kirkland. Since the company's inception, European Stone & Tile Design has remained referral based, attributing our continued growth to our satisfied residential and wholesale clients across the greater Puget Sound Area. Advance pro tile mission is to provide professional tile service that offers excellent workmanship with attention to detail for all of your tile remodeling needs. Our company strives to exceed the expectations of each client. We are professional, courteous, and always leave your project area clean. We guarantee that your project will be completed in a time: no late arrivals, no missed work days, and no delays. We will be there when you need us. When you call Advance pro tile, you can be sure that you are receiving the most professional and reliable tile service in Seattle area. We have 14 years of experience, which ensures that you will receive the quality work you deserve. Advance pro tile guarantees the job will be done to your specifications on time, the first time. About Us Advance pro tile is a specialty company that provides master craftsmanship in our tile projects. We install all sizes and shapes of tile in multiple composites, including glass, porcelain, natural stone, ceramic, and custom mosaic. Our specialists are detail-oriented and endeavor to satisfy each and every one of our clients. Above all, we are proud of what we accomplish and take pride in what we leave behind Kitchens and bathrooms play a large role in determining the value of your home. A tile upgrade can transform these essential spaces, adding appeal and improving your return on investment. Advance Pro Tile Setting specializes in tile installation, replacement, and repair for new construction and remodels. We are a family owned and operated company based in Snohomish,wa, and our goal is to give your bathroom, kitchen, or outdoor grill the look you want at a price you can afford. At Advance Pro Tile, we take pride in the work we perform. Our positive attitude and exceptional service take the stress out of home building and remodeling. Call us today. Tall Pines Construction is a full-service home remodeling company located in Bellevue, WA that specializes in custom kitchens and bathrooms. We are new to Houzz but we have been working in the area for over 25 years. Our customers are our top priority and we strive to exceed their expectations by creating the vision they have for their home, within their budget. We provide quality craftsmanship, strong teamwork and outstanding customer service throughout all stages of the remodeling process. We welcome you to browse through some of our completed projects and follow up with a call to talk about your project. Welcome to Denali Design Studio - Washington's premier marketplace for exotic stone surfaces - also providing Canyon Creek Cabinets, and Hunter Douglas Window Fashions. We offer the finest and highest quality of imported granite, quartz, engineered stone, and marble. Denali was created with the vision to be the heart of the design community where homeowners, designers, and builders go to draw inspiration and cultivate new ideas in our 23,000 sq ft showroom. Our mission is to always provide a flawless high-end product that is a true expression of the client’s vision and transforms their everyday living spaces into one-of-a-kind indulgence. Draw inspiration by stopping by Denali Design Studio showroom and speak with our professional sales staff that will assist you from concept to completion. If you think about REMODELING your kitchen or bathroom, then you have come to the right place. ATLANTIC TILE & GRANITE is a group of enthusiastic soul mates, charmed by the great magic of natural stone and inspired by its beauty. Granite is recommended for the interior to give your home warmth, comfort and convenience, while its strength and durability allows you to enjoy the countertops for a long time. From a practical point of view, granite is waterproof, stain-resistant, versatile, attractive, easy to clean and maintain, which makes it an ideal material for vanities, kitchen countertops, bar tops and dining tables. The simple elegance of granite will never let you down. The company has been proudly making granite countertops and tile for over 10 years and we have managed to keep our high standards and make a lot of customers satisfied. Our business strategy is to offer high-quality granite countertops and keep very reasonable price. You are free to look through our exclusive collections of stone to find the one that best suits your home and personality. DTO was started on the principle that Quality does not have to come at such a high price. Our products are of the highest quality and our pricing is some of the best. With over 20 years in the tile and flooring industry, we have the knowledge and expertise which, accompanied by our relationships, allow us to provide the best sales and service directly to our customers. Quartz & Granite Countertop Leader in the Seattle Area! 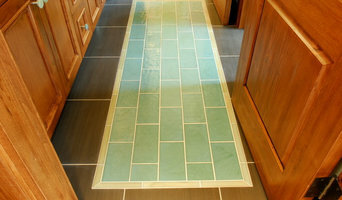 A one woman business based in Seattle, Trillium Tile is focused on quality and customer satisfaction. Whether you are interested in a simple backsplash, a repair, or a custom mosaic design, owner and artist Liz Tatchell will work with you to find affordable and long lasting solutions for your tiling needs. Her goal is to make the design and installation process smooth, clean and satisfying! Liz has been tiling on her own since 2006. After years of work in the trade, she has come into a style uniquely her own. In 2001, she received her Bachelors of Arts from the University of Washington where she studied ceramics, metal work, printmaking and painting. In 2003, she worked as an apprentice under tile setter Tony DaSilva. After significant travel to West Africa, Europe and South America, she worked under Landscaper Dan Lundquist to learn the exterior hardscape work (2005-2006). Liz is also a mother, a gardener and an intermittent yogi. Often incorporating elements of nature in her work, she hopes to encourage respect for nature and all of Earth's creations, people alike! As the largest fabricator of slab stone in the region, we are able to offer unique natural stone and engineered quartz options at very competitive pricing. We deliver many countertop options, both by buying slabs directly from Brazil, and by negotiating exceptional pricing from our many distributors throughout the Northwest. Our facility is state of the art, housed in over 14,000 square feet of indoor space especially equipped for our stone and wood shops. Tops Solid Surface uses state-of-the-art tools including the Titan CNC and BACA RoboSaw to fabricate with accuracy that remains unmatched in the region. Tops is the only company in Thurston County using this advanced technology. Tops Solid Surface is proud to support community and environmental efforts with responsible reclamation practices. Our water reclamation systems transform our manufacturing sludge into clean water. We harvest local trees only when they have fallen or are being removed for safety or construction purposes. We support Habitat for Humanity and other community agencies including our schools by donating usable materials removed from remodeling sites to reduce or eliminate landfill waste. Two simple pricing tiers, currently offering hundreds of 3cm Granite and Quartz slab options under $60 per square foot installed, make selecting your new countertop a great experience! Don't forget to check out our discounted remnant selections, perfect for your laundry room or vanity countertops- or maybe even a hearth or fireplace surround. Open Monday through Friday 8 to 5 and Saturdays from 9 to 4. One of the Leading Tile and Slab Distributors in the U.S.
Pental Surfaces began in 1999 with a few selections of granite slabs, and has since grown into one of the largest wholesale tile and stone distributors in the Western US. While we only sell to the trade, our showrooms are open to the public with locations in Seattle, Fife, Portland, Los Angeles, and Denver. Visit our website for hours, directions, and to view our collections of natural stone, quartz and Lapitec slabs, as well as porcelain, ceramic, glass and metal tile. Remarkable Surfaces For Your Home. Your Trusted Countertop & Surface Fabricator And Installer In The Northwest. - 137+ Years of Combined Experienced - 24 Experienced Professionals - 6307+ Installations - In Business Since 2006 Call us at (425) 242-7117 or visit our showroom to check full range of countertops, tiles and remnants today. Art Tile Co. is a local family owned and operated retail tile showroom and professional tile installation service located in Seattle, WA. In business since 1947, Art Tile's showroom has a vast selection of tile options for your tile project, backed by a helpful and knowledgeable sales team. Our install service is noted as viewing tile as an art form and employing installers that have a passion for quality work and craftsmanship. We are a locally family owned business whose main goal premium natural stone slabs at wholesale prices to the public. Our broad range inventory includes a full line of marble, limestone, onyx, quartzite, sandstone, soapstone and travertine. Our sales representatives are friendly, extremely knowledgeable and strive to offer excellent customer service that is next to none. Come visit our showroom and browse thru our fine collection of natural stone slabs. No appointment is necessary. We're even open on Saturdays! Valley Fabricators is a small locally owned slab fabricator, specializing in all types of slab fabrication ranging from your simple kitchen counter to complex slab walk in showers no job is to big or to small. We take your business seriously and you will never be treated as just a "customer" you are our neighbor. We are a family owned and operated team of slab and tile fabricators, design consultants, and installers. Whether it be commercial or residential you can expect a level of quality and service that will satisfy the most demanding needs. We will raise the bar on quality in our field, and we will win your business. Valley Fabricators has established relationships with all of the major local slab importers allowing us to source just about any slab that you may want in your home. 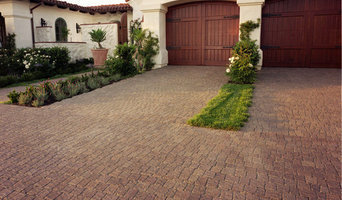 We will help you hand pick the slabs that you want and custom fabricate them to your homes unique design. Once the fabrication is complete a professional team of Valley Fabricators installers will come to your home and install your new slab counters. 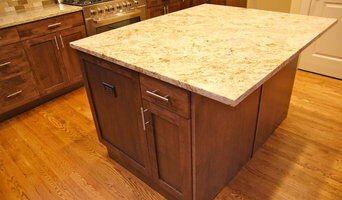 Valley Fabricators offers a wide range of pre-fabricated slab countertops. Perfect for a home remodel or a multi unit upgrade. Inquire for details. We strive to be a top local full service stone fabricator and tile installer. When you are in need of professional tile installation we are ready to make your envisioned tile shower, floor, backsplash, etc… become a reality. Vanities Etc. is conveniently located off the 405 in Bellevue. We are the originators of the “Square Foot program” No more, being forced to purchase huge slabs of countertops. Vanities Etc. has taken away the headache and hassle… of being oversold. We are by the foot, and buy only what you need! At VANITIES etc. we make your kitchen remodel design and bathroom remodel process smooth, Straight forward and uncomplicated. VANITIES Etc. also has ready-made options that can transfer across varying design styles. Our staff can help you navigate through the complete process and accomplish the precise look and feel you’re after. Improving your quality of living and raising the value of one of your most important assets has become incredibly manageable and streamlined these days. Kitchen Countertops Seattle & Bellevue is our specialty. In addition to basic surfaces, many Redmond, WA tile, stone and countertop contractors can create and install murals and mosaics, as well as add decorative edge treatments to countertops. They also repair or replace surfaces in the event of chips, cracks, stains or other damage. Many tile, stone and countertop professionals also install shower pans, radiant-heat flooring systems and other common components of surfacing jobs, often working in tandem with Redmond, WA plumbers or other professionals. Here are some related professionals and vendors to complement the work of tile, stone & countertops: Interior Designers & Decorators, Architects & Building Designers, General Contractors, Kitchen & Bath Designers, Design-Build Firms. Find a tile, stone and countertop contractor on Houzz. Narrow your search in the Professionals section of the website to Redmond, WA tile, stone and countertops. You can also look through Redmond, WA photos to find tile, stone and countertop projects you like, then contact the contractor who worked on it.